This week on the Driving Law Podcast, I speak with Paul Doroshenko of Acumen Law Corporation about Acumen Law Corporation's big win in BC Supreme Court. Then, we talk about the case of a West Vancouver Police Department officer caught sexting, and how that managed to impact some immediate roadside prohibition cases. Finally, we go over the changes to ICBC's advertising budget, which has been significantly cut. You can listen online on SoundCloud, PlayerFM, or subscribe on iTunes! This is a great week on Weird and Wacky Wednesdays. First up, we have a major police blunder that results in a fistfight in the street. Then, the worst wedding day of all time that gets even weirder the more you look into what happened. And finally, we end with a woman who is now suing the Georgia Police after she was wrongfully arrested for having cotton candy. Find out the details of these cases by clicking through below! This week on Weird and Wacky Wednesdays, we move a little closer to home where we examine a strange recurring phenomenon in British Columbia: poop throwing. Then, we look at one of the more creative defences in a sexual assault trial that was recently rejected by an Ontario court. Finally, we kick things back into our neighbours to the south, looking at a Philadelphia prank gone horribly, horribly wrong. This week on the Driving Law Podcast, I speak with Paul Doroshenko of Acumen Law Corporation about the new regulation introduced in BC that will limit the ability of some trucks to use the left lane on the Coquihalla highway. Then, we talk about how a judge will decide whether a canoe is a vessel within the meaning of the Criminal Code. Finally, we hash out (hah!) the impact of cannabis legalization, one month after legalization has happened. This week on Weird and Wacky Wednesdays, we take a look at how one of those funny-fake-names pranks can go horribly awry. Then, we examine two unusual thefts, where unlikely items were taken in unlikelier circumstances. So read on and be prepared to entertain yourself with the never-ending world of weird and wacky criminal activity. Driving While Prohibited - What Are the Defences? Driving while prohibited cases are notoriously easy for the Crown to prove. They are very difficult to defend, and require special knowledge of the Motor Vehicle Act’s unique and intertwined provisions relating to service and reliance on notices, certificate evidence and its admissibility, and what constitutes a road or a highway. 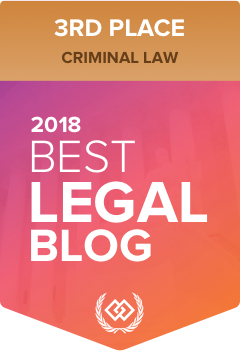 This blog post breaks down some of the more readily available defences to driving while prohibited cases. Receiving a Notice of Intent to Prohibit can be a stressful experience. But these letters often take people by surprise. Often, that should not be the case. However, it appears that the Notice of Intent to Prohibit system at ICBC is fundamentally flawed, and therefore incapable of being administered in the proper way. There is some serious oversight in this program that is missing, and some significant concerns about the manner in which these reviews take place that need to be addressed by ICBC and the Superintendent of Motor Vehicles.